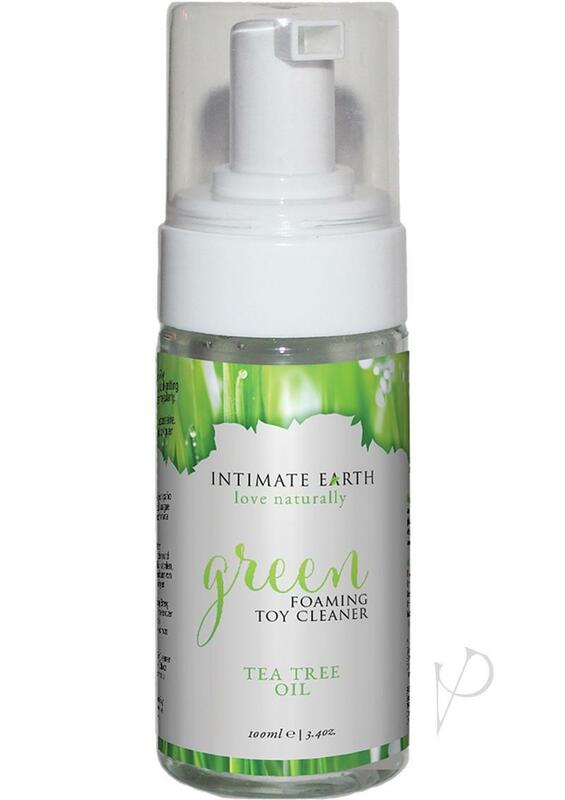 Intimate Earth Green Tea Tree Oil Foaming Toy Cleaner safely and thoroughly cleans: silicone, glass, stainless steel, and plastic. Does NOT contain: Triclosan, alcohol, parabens, or other harsh chemicals. Guava Bark Extract infused for added astringent benefits.